First of all, let me say that our Xcel team is doing a wonderful job. This last meet was very competitive. We are working to improve our scores. Here are some pictures included in this months note from our Xcel girls last competition. Stayed posted for how we will run parents week and the inner squad meets for level’s 2-tops. It will be during the last week of school in May. I’ll clue you in when we get closer but please plan to be available for that week to come in and watch your athlete. March has two gymnastics meets for our teams. Junior Olympic and Xcel will be competing on the 10th in Lindon, UT. This will be Xcel’s last competition until Summer Games. 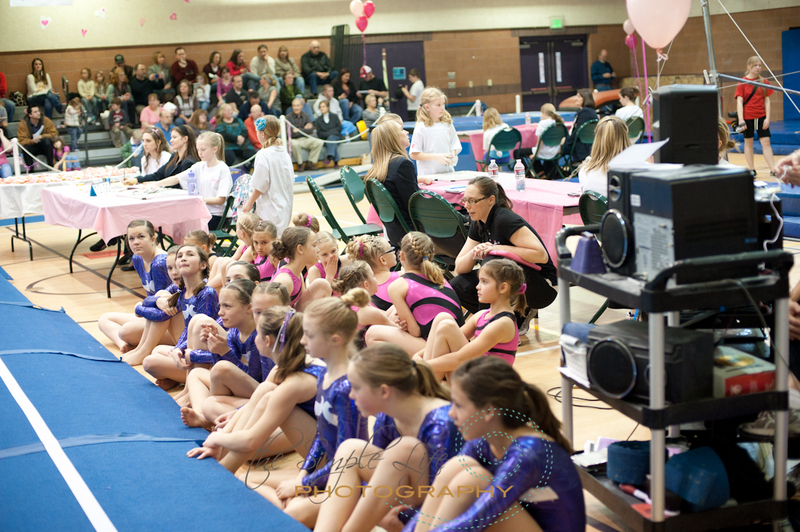 Then we have a competition at Hunt’s Gymnastics in Midvale for our Junior Olympic girls. Can’t wait to see what will happen! We’ve upgraded our website and blog as you can see. If you have any friends interested in checking us out, please refer them to that or have them call me. We take kids anytime! Ashley on bars with straight legs! attendance in that class above all other classes. I love that these kids want the challenge. They work hard, sweat, moan about the aches and then move forward to be they best they can be. Every kid who participates in this class is showing improvements in all other areas of their gymnastics. What a great addition this has been. Let me know if you are interested. You must be in Tops or Team to be in this class or have been a higher level gymnast. Summer is coming! We have lots planned. FYI, if your child is in level 3 right now, you’re most likely going to be invited to join our TOPS (Pre-Team level 4) group starting in the summer. It will be two days a week for 2 hours each day. 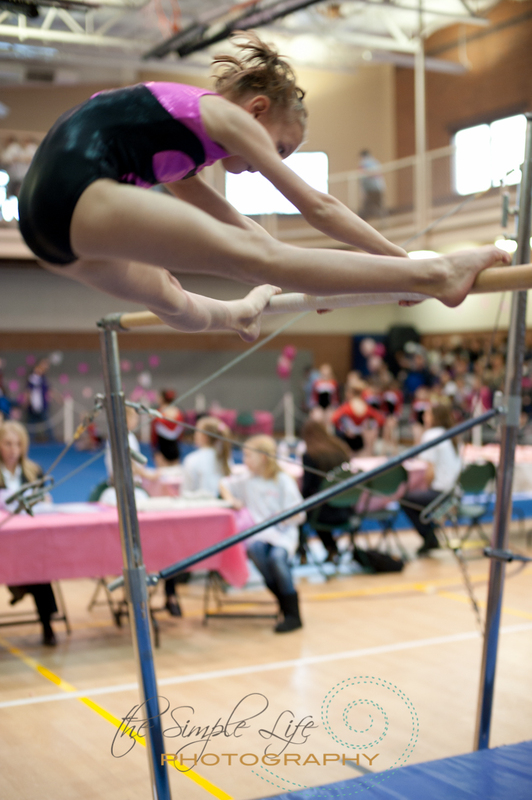 Gymnastics is a tough sport and requires year around attendance to be competitive and keep kids in shape. Summer is where we work the harder tricks to get them ready for routines. Your kids won’t want to miss out on a thing! We understand that you will have vacations. Not to worry, please take them. I will have a discount program for when you do take that much needed vacation but it doesn’t mean you have to skip the whole month or summer just to take it. Keep your kids busy and active through the summer. They’ll be ahead of the game and better off for it at any level. Jr. Grappling is going very well. We keep having more interest each month and the boys seem to love it. For anyone that wants to be a wrestler, come check out this program. It’s top-notch and a great mental and physical workout for your boys. You’ll love how we exhaust their energy and put it to constructive use. Charly also trains at a facility up in Woods Cross training with Olympic hopeful, Ben Kjar. He also coaches a very talented group of MMA fighters that have all done very well this season in their fights. * Stay with your group. Ask to go to bathroom or get a drink. * Listen to your coaches when they are speaking. * Wait to come onto floor when you are invited with your class. * Do not play on equipment that you are not invited to be on. * Do not drop from the top of the rope to the floor or swing on ropes or rings. * Only one person at a time on the trampoline, except for 40ft tramp next door, but leave ample space between each person. * If a coach is spotting you, do not ask them to not. Learn from each spot that you get. We spot often to shape kids the right way. * No child is FORCED to do a skill. If they aren’t ready mentally, then they aren’t ready. We always take it back a step to the skill they can do and grow from there. We believe kids should learn with enthusiasm and courage, not fear and being scared all the time. * Please have your childs’ hair pulled back, jewelry off, suits on, gum gone and ready for gymnastics. It takes time out of coaching to get kids ready who don’t come ready. We’ve had too much this lately. This is important for kids safety. I’ve seen zippers slash faces open, kids not perform well because of hair in their face, kids choke on gum and have heard of earings getting ripped out of ear holes. We don’t want to take these chances. * Be nice and encouraging to your fellow athletes. Build each other up and say nice things. We do not allow kids to be negative about anything. As soon as we hear a negative comment we are quick to have them re-phrase that to something positive. We as coaches also say something positive first typically and then give them an encouraging correction. Please go over these rules with your kids and ask them if they are following them all. This will just help en grain what is expected of them. Thank you! Parents, I applaud you. You’ve made the right choice to come to our gym. Read below and see all of the benefits of gymnastics if you haven’t all ready. I hope you see these developments in your child. Of course come to us if you don’t. We never want to leave a child behind in our program and would hate for a problem to go un-solved and lead to unnecessary quitting. I’ll leave you with a wonderful message from a parent here at Big Rock! I found this great article and thought I would share it. Take a look! ALL children benefit from classes and participation in gymnastics. The areas listed below are a small sampling of the actual benefits from gymnas- tics activities. You have done a terrific job of parenting by getting your child interested in this educational sport. Many of the benefits of gymnas- tics are NOT related to learning gymnastics skills, but more important developmental areas that will help your child become a better student and young adult. 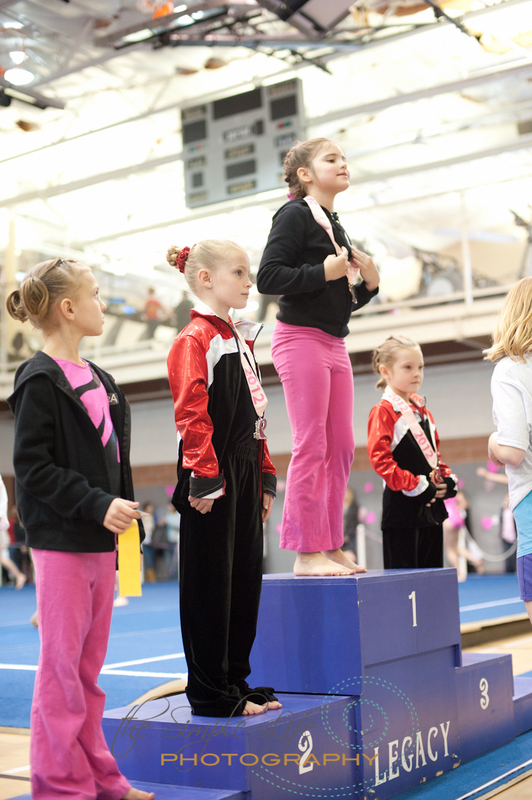 Gymnastics programs are not solely about creating gymnasts. There are so many more important areas to consider. ALL children, regardless of ability, should stay in gymnastics for 3 – 5 years, if not longer, to get the full benefit of what gymnastics teaches. Through the challenge of learning gymnastics skills, the students gain confidence with each step that they take. 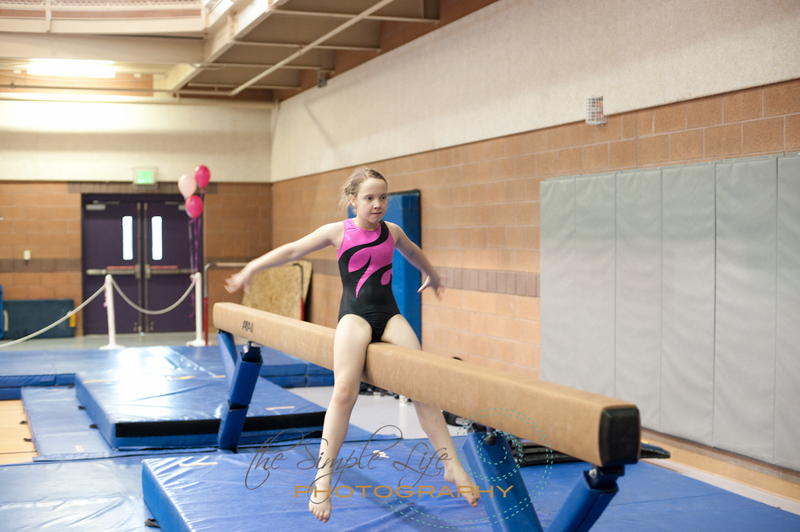 Doing skills on the beams and bars helps them gain confidence in their own abilities. This im- proved self confidence will transfer to other areas of their lives includ- ing school. 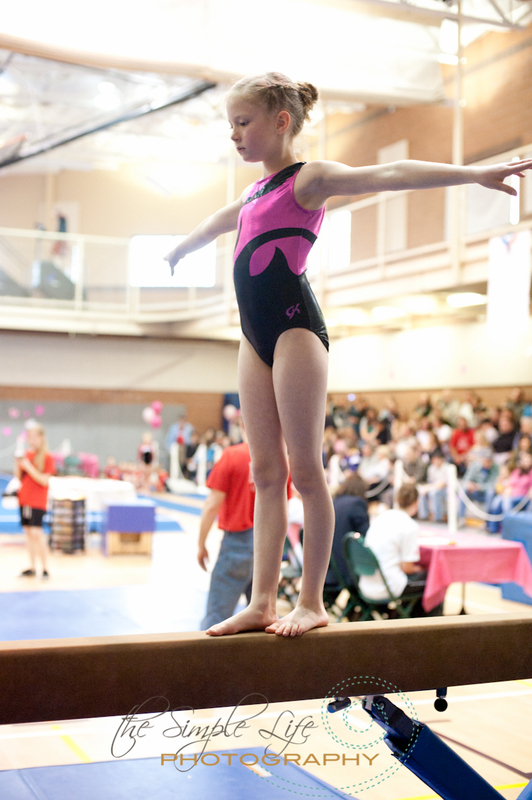 Gymnastics instruction helps develop better coordination and body movement. For the young child, a great deal of their self confidence comes from how coordinated they are because their “world” is so physical rather than mental. Gymnastics improves coordination. Some children do not have the skills to be a “star” athlete in any sport. But in gymnastics we can control their progress and challenges. Chil- dren who are a little weaker, a little overweight and/or a little less flexible can all find success with our terrific, caring gymnastics teach- ers. EVERY child can benefit from gymnastics. Gymnastics is a tough sport. The best thing about it is that the kids have to earn the skills, we just can’t give them to them. This hard work shows them that the more they work the more they learn. What a great lesson. You want your children to have a “hard work ethic,” don’t you? Participation in gymnastics helps the athletes become more flexible. Baseball players, basketball players, football players and all other sports need more flexible athletes. Gymnastics builds flexibility better than any other sport. Flexibility also helps limit injuries. Especially for the younger ones, gymnastics gives the little ones a weekly chance to learn about social skills like listening and following directions, taking turns, being quiet, respecting others and a lot more. The gymnastics teachers work hard to build social skills with their students because they are so important in other aspects of the lives of the little ones. So, so important today. We do have rules in gymnastics classes and the teachers treat these rules as being very important. The more disci- pline the children get today the better off they will be. Gymnastics classes are a very controlled environment. Very helpful for the child. Yes, we stress politeness in classes as the way to treat others. The teacher is polite to the students and the students are expected to do the same to the teachers and to their class mates. The more the kids are exposed to “politeness” the better. In this world of a lot of obese children, fitness is CRITICAL to the current and future health of our children. Gymnastics classes are full of activities that will make your child more fit and help keep them healthy. You have them in the right place if fitness is important to you and your family. Some parts of gymnastics are very challenging. We think that this is good training for all kids. They need to be challenged. The key is that we challenge them with “attainable challenges” so that they are suc- cessful the majority of the time. To face a challenge, maybe with a little fear, and then to accomplish the challenge is a wonderful part of gymnastics classes and it happens all of the time. We want confident, aggressive children. What a terrific, sometimes overlooked, benefit of gymnastics. Gym- nastics classes have the students perform their skills in front of other students which helps teach “performance” and makes performing in front of others easier. Gymnastics students tend to be the 1st ones at school to volunteer to do things in front of the class as they have learned to “perform” which is going to help them throughout their lives. Gymnastics builds determination. Some gymnastics skills are hard to master so the children learn determination in continuing to work hard even when things are tough. Such an important lesson. Moving and lifting their bodies during gymnastics activities helps build upper body strength as well as leg strength. This helps the gym- nast as well as the students who are also in other sports. Do you want a strong child? You have them in the right place. Our gymnastics teachers care about EVERY student regardless of their potential. We KNOW that every child can learn a great deal by being involved in this incredible sport. Every child is important in our gymnastics classes. You have done a great job of parenting by having your children in gymnastics. Keep them with us as long as possible as gymnastics benefits all athletes and every child regardless of talent and ability. Your child will be a much more mature, well prepared young adult because of their in- volvement in gymnastics instruction. Gymnastics teaches so much more than forward rolls! Prepared by Tom Burgdorf, National Gymnastics Clinician, National Committee Member AmeriKids Gymnastics Association and publisher of the free Parenting An Athlete Newsletter. For a free newsletter subscription contact Tom at tomgymnet@aol.com or at http://www.gymnetsports.com.